Download your branding worksheet here. Branding is without a doubt, one of the most important parts of your business. An effective brand strategy will set you apart from the crowd, tell the unique story of your brand, help you attract your ideal client, all while staying true to who you are. 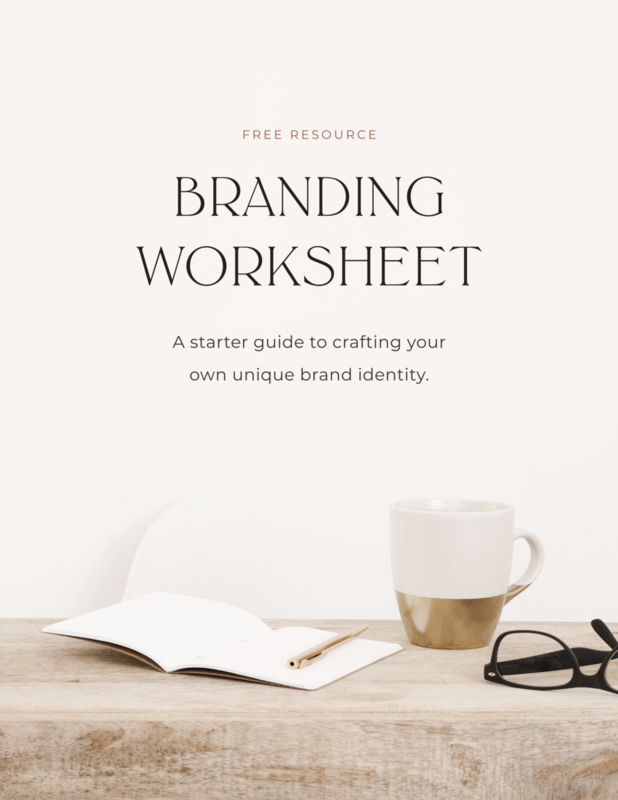 Whether you are starting a new business, or just need to clarify your existing one, this worksheet will help you take the first steps to crafting an effective brand strategy. I encourage you to take out your favorite pen & notebook or to print this worksheet out and to spend some time truly diving deep into all of the questions.